Toshiba Electronic Devices & Storage Corporation (“Toshiba”) is expanding its line-up of SO6L IC-output photocouplers with a new wide leadform package type SO6L(LF4). Shipments start today. The SO6L(LF4) package has a creepage distance of 8mm, which meets the industry’s standard creepage distance for SO6L. 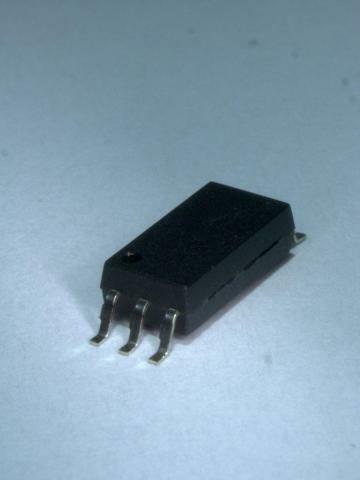 To date, Toshiba has offered eight photocouplers in the SO6L(LF4) package: three for high-speed communication applications and five for IGBT/MOSFET drive applications. Now the company has added six photocouplers in the SO6L(LF4) package to its product portfolio: three for high-speed communication applications and three for IGBT/MOSFET drive applications. The SO6L(LF4) package is footprint-compatible with the SDIP6(F type) package with wide lead-forming option and a maximum package height of 4.15mm. In addition, the SO6L(LF4) package has a maximum height of 2.3mm, which is approximately 45% thinner than the conventional SDIP6(F type) package. Its low profile package contributes to system size reduction and can be mounted in height-restricted locations, such as the back of a board. Toshiba will release more IC-output photocouplers as direct replacements for the current SDIP6 (F type) package. Toshiba will continue to deliver products that meet the needs of customers by promoting the development of a diverse portfolio of photocouplers and photorelays tailored to market trends. A package with a longer pin distance than a standard package. Pin distance: The span between pins on the LED and the pins on the photodetector.